Mike HEYNES (New Zealand) is a filmmaker of short animations, installations and dioramas. He studied Theatre and Film at Victoria University in Wellington and was educated in Fine Arts. A significant theme in his work is consumer culture. He states that music is an important part of his work as well. Advert for the weapons industry. 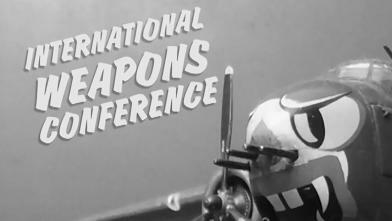 Playful and light in form, serious content that reflects on the role and power of the arms sector.